quadrupled light grasp available with its larger offspring. 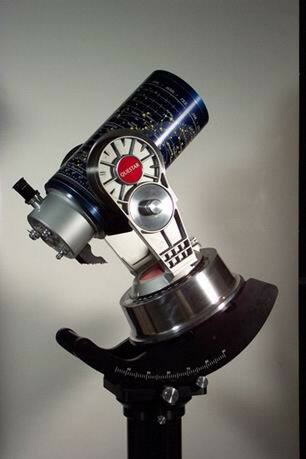 The Light Weight Titanium Classic 7” is an astronomical telescope that is completely portable. You can use it on a tripod, table with its optional equatorial mount and legs, or with Questar’s Large Astro Pier. internal 2x barlow lens for eyepiece port, star-diagonal mirror, built-in finder, axial photographic port and eyepiece port allowing 2” type eyepieces. Basic camera coupling set, thread on dewcap with Moon Map and ABS sealed carrying case with wheels and handle. Weight of barrel assembly 19 lbs., in ABS sealed carrying case 35 lbs. Shipping weight 65 lbs. Classic 7 LW has the light weight barrel and control box configuration. Astro 7 has a 2" mirror diagonal and no control box.